Please help us by making a donation. Every penny counts! 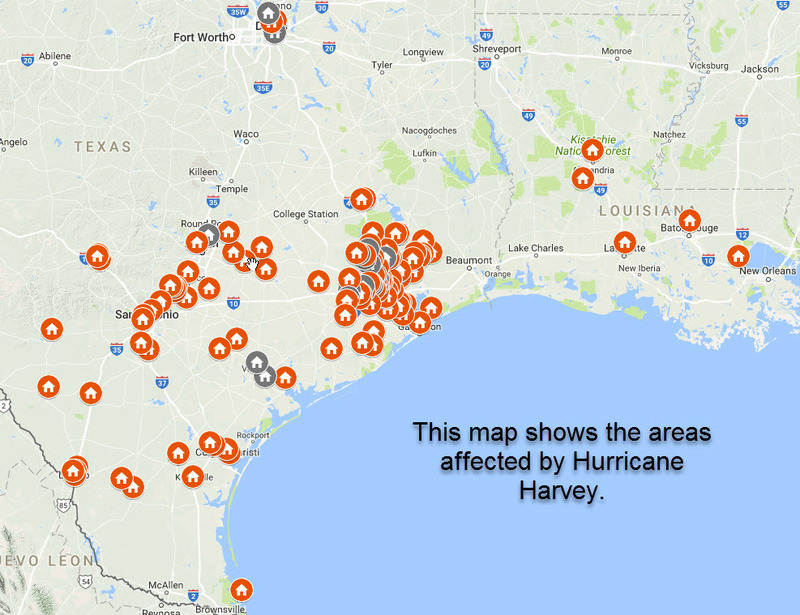 As you are aware, the coastline of Texas and Louisiana has been drastically affected by the catastrophic Category 4 Hurricane Harvey. Florida, Georgia, and South Carolina are also devastated after Hurricane Irma swept through the region. And now the Caribbean (Puerto Rico) was hit by several hurricanes with Maria delivering the final blow. We want to help and hope you do too. Rescue organizations are saying not to send, food and water right now, but that raising $dollars$ is the best way to help and what the people of Texas and Louisiana need most at this time. 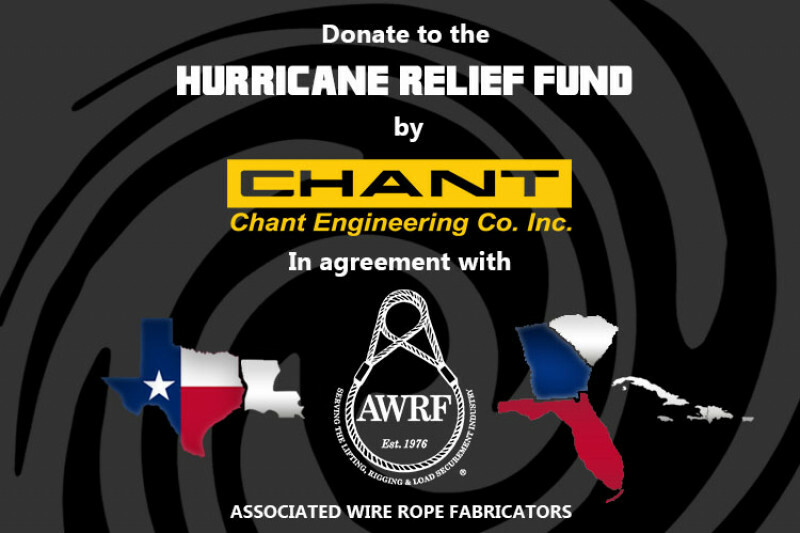 Chant Engineering Co. Inc. located in New Britain, PA has partnered with the Associated Wire Rope Fabricators (AWRF) association to help their membership across the affected states as some of their homes and businesses may have been flooded with water or severely damaged. While the National Guard, U.S. Coast Guard, Red Cross, FEMA, Fire & Police Emergency Responders and other rescue organizations are helping with emergency rescue efforts right now, Chant also wanted to work alongside those organizations to help out affected families to make up for lost wages and to help them with their basic needs, such as shelter, food, water, supplies, or whatever else they might need. Harvey and Irma are two of the largest hurricanes to hit the continental U.S. in decades. There are too many affected cities to list. Of course, there are other places that have been hit by tornados and who will be recovering from the damage and loss of life for a long time to come. We are grateful for any help you or your organization can provide. It is at a time like this when we need to come together to help others. If you have a family in need of assistance, reach out to AWRF.org. They will be providing us with a list and we will distribute the funds, as they are available to the individual family once identified by AWRF, if funds are available. Chant will be distributing 100% of the funds collected, less the fees charged by GoFundMe. Those funds will be donated to AWRF member families in need of financial assistance as identified by AWRF. Chant is a proud member of AWRF. AWRF is a membership based association for the wire rope industry. Fund Campaign Manager: Christi Chambers, Marketing Coordinator for Chant Engineering Co. Inc.
We'd like to thank everyone for their donations for our Hurricane Relief Fund. We raised $1,525. We are going to close this campaign, and while we didn't make our lofty goal...we wanted each of you to know how much we appreciate your contribution. AWRF has officially withdrawn 100% the available funds. We truly hope these donations will be able to help a couple families. We'd like to thank everyone for their support on the Hurrican Harvey Relief Fund. We have raised $1,050, so far so, please help us reach the next goal and get our total up over $2,000.